We should be purchasing high welfare meat thriftily and wisely. Diets that are rich in meat (particularly red and processed meat) are linked to increased risk of diet-related illnesses such as diabetes, heart disease and cancer. Research has shown that choosing healthy sustainable food is less expensive than an unhealthy diet. People can save money by buying cheaper cuts of meat, as well as adding extra vegetables, beans, and whole grains to create delicious, hearty, and filling meals. 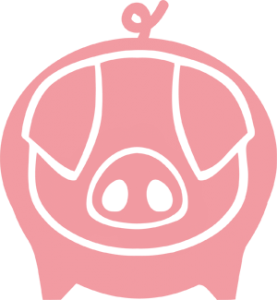 Eating less meat and cooking with cheaper cuts can save money on shopping bills which makes it possible to buy high welfare without necessarily spending more. Or we can cut meat out of our diets altogether. Scandals such as that in which horsemeat and pork were found in ‘beef’ products have shown where the drive for ever cheaper food can lead. 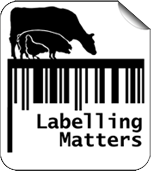 Many more people are now choosing to put greater value on what they eat, and the people and animals that produced it and are willing to pay more as a result. “We’re downgrading the role of meat to being yet another cheap sandwich filler. Meat is a precious food and the animals that provide it should always be looked after in the best possible conditions”. 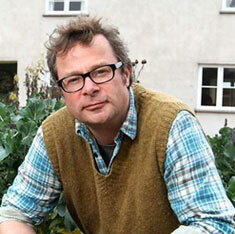 Hugh Fearnley-Whittingstall, chef & “real food” campaigner. Why is reducing your meat intake healthier? Meat and dairy produce provide valuable nutrients such as protein and iron, but the health impacts of over consumption are well documented. Excessive amounts of meat and dairy (especially if processed) put people at greater risk of chronic diseases such as coronary heart disease and some cancers . Consuming more vegetables and fruit, grains and pulses, and smaller amounts of animal products produced to high welfare and environmental standards helps to reduce health risks. The UK Department of Health advice is to consume no more than 70g of red and processed meat per day. ‘Red meat’ is identified as beef, pork, lamb, and goat from domesticated animals – including that contained in processed foods, such as bacon, sausage, salami, ham etc 2. Currently 6 out of 10 men and 1 in 4 women in the UK exceed this daily consumption level  and UK meat consumption is approximately twice the world average . Modelling suggests that eating meat no more than three times a week would save 45,000 lives a year (from cancer, heart disease and strokes) and save the NHS £1.2bn a year . It would also help to tackle growing health issues such as obesity, which is a risk of a high meat-fat and sugary diet. Friends of the Earth (2010) Healthy Planet Eating: How lower meat diets can save lives and the planet. World Cancer Research Fund / American Institute for Cancer Research. Food, Nutrition, Physical Activity, and the Prevention of Cancer: a Global Perspective. Washington DC: AICR, 2007. Westland, S & Crawley, H, (2012) Healthy and sustainable diets in the early years, First Steps Nutrition Trust. Westhoek, H., Rood, T., van den Berg, M., Janse. J., Nijdam, D., Reudink, M., and Stehfest, E. (2011)The Protein Puzzle: The consumption and production of meat, dairy and fish in the European Union. The Hague: PBL Netherlands Environmental Assessment Agency. Friends of the Earth (2010) Healthy Planet Eating: How lower meat diets can save lives and the planet, Friends of the Earth. (Modelling by Oxford University Heart Promotion Group). 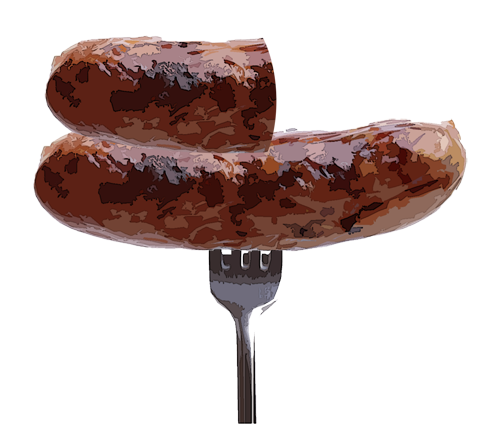 Two sausages from an animal factory costs the same as one & a half sausages from a real farm. 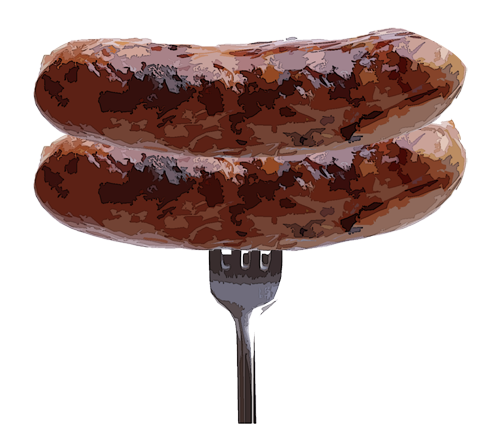 Of course, if you factored in the external costs to animals, people & planet, the animal factory sausages would be much more expensive. There are a great variety of inexpensive cuts. 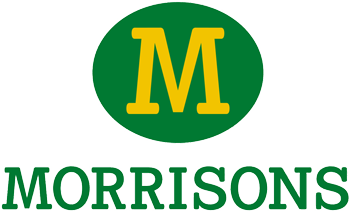 Find out about these by talking to your local butcher or meat stall holder at your local farmers market. They are normally more than happy to help you find good deal and can often give you great ideas on how to prepare and cook it too. Although this is quite a fatty cut, it can still be very successfully slow-cooked. During cooking, the excess fat melts and rises to the surface, where it can be skimmed away before serving. This cut needs a long, slow cooking in order to tenderise the muscle fibres. Good for braising and stews. The chump provides a variety of cuts, including chump chops, boneless chump steaks and the chump-end roasting joint, which is sold either bone-in or boneless. When diced, it is ideal for stews, curries and casseroles and tends to be more tender than leg. When buying, make sure ears are completely dry, smooth and slightly pinkish in colour. If they feel even slightly sticky or wet, look elsewhere. Ears need a long boiling or braising, which at the end leaves them pliable and soft. These joints can be successfully braised. Brown them first to give some colour, then place on a bed of vegetables together with a little liquid, and cook in a covered casserole in the oven. Slow cooking will make the meat meltingly tender. Or dice for use in casseroles. This cut usually comes already brined and smoked and sold as a “ham hock” in the store. Good for braising and stews. The neck can be cut into chops, pork steaks, diced pork and mince. This meat is slightly fatty, having a marbled effect, meaning that when cooking, it doesn’t dry out easily, making it a great cut of meat for slow cooking and roasting. Cheaper than a leg or anything from the expensive middle section of the pig. Pork shoulder is great slow roasted, but can also be braised. These are sweet and succulent thanks to a good amount of marbled fat. Try them cooked as a rack of ribs (depending on the size of the pig, they tend to come in rows of four or five), split into individual ribs, slow-cooked, or flash-grilled on a barbecue. Tails need a long boiling or braising, which at the end leaves them pliable and soft. Tails are commonly used in soups and stews. Trotters can be deep fried, grilled, roasted, poached, or braised will excellent results. After a long braise the skin can be removed from the bones, pressed together, breaded and fried, or the bones can be removed and the skin stuffed with delicious fillings. Trotters can also be added to stock or sauces for extra flavour and body. 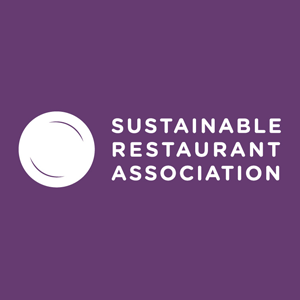 Find out more about the benefits of eating less and better meat for health, the environment, animal welfare and feeding the world more fairly. Meatless Monday is global movement with a simple message: once a week, cut the meat. Meat Free May is a Friends of the Earth campaign that challenges you to give up meat and fish for all of May. Go meat free any day of the week by adopting a flexitarian diet. 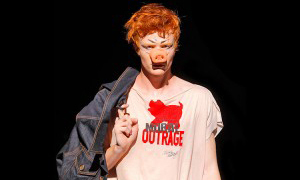 Help support our work by donating or bagging yourself a limited edition, organic T-shirt or Tote Bag designed by activist legend Vivienne Westwood from our online shop.